Hello! and welcome to my first ever series of articles on PureMTGO. The focus of these articles is the semi-famous Prismatic Format. 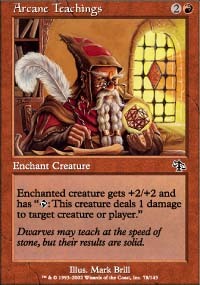 Many people know of it, but a recent series on Prismatic Singleton was started but never finished and I began to wonder if there was a curse on the format. I aim to find out! Keep your eyes peeled for mummies, vampires and zombies, and I will take care of the rest! First, I should describe the format. For those that know the basics of the format already or if you just like to live dangerously, search for the section starting with: “Hubbadubbada”. Battle of Wits, Bribery, Bringer of the Black Dawn, Buried Alive, Burning Wish, Congregation at Dawn, Cunning Wish, Diabolic Tutor, Eladamri's Call, Enduring Ideal, Enlightened Tutor, Entomb, Fabricate, Gifts Ungiven, Insidious Dreams, Living Wish, Merchant Scroll, Mystical Tutor, Quiet Speculation, Rude Awakening, Skullclamp, Sterling Grove, Sundering Titan, Tooth and Nail, Upheaval, Vampiric Tutor, Wild Research, Worldly Tutor, Demonic Collusion, Detritivore, Gleemox, Glittering Wish, Mystical Teachings, Summoner's Pact, and Supply/Demand. Do you notice a trend in that list? 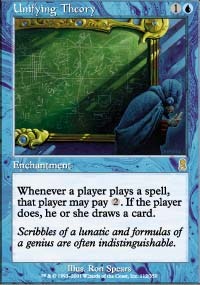 Well, besides vowels... and them linking to cards... most tutors and mana disadvantage engines have been banned in the format. The outcome of these actions has led to some interesting results in the metagame of Prismatic. However, more on those impacts later. You may also want to look for synergies that may not be apparent. Do you have a lot of ‘comes into play creatures’? If so Cloudstone Curio or the Kamigawa Wildebeest ( Stampeding Serow, et al) cycle may be worth including for the purpose of utilizing those effects to their maximum. I have seen new players ask about how to get into Prismatic, and what decks to build. It seems that many new players just grab all their rares and smoosh in some lands and expect good things to pour from their decks like milk and honey from the Promised Land. Which I guess is not too surprising as it is tricky to plan how you expect 250 cards to interact. It is even trickier to get the right cards in your hand at the right time, what with the lack of powerful tutors and all. This is one of the first hurdles of Prismatic deck building. As we have learned from RexKwanDo: we must learn to “Disciple our image”. Now for some sample scenarios of what decisions you have while building your Prismatic deck from the ground up. First, an easy one; if you do not have access to duals/pains/rare lands you will want to include the better standard green mana fixing. Cards like Rampant Growth, Harrow, and (Kodama’s Reach) go up in value if you need to pull out basic lands, but some of these won’t be run if you have access to full sets of pain/fetch/duals. Next up, we have a slightly more complex theoretical exercise in card selection. You are about half way done with your first deck. 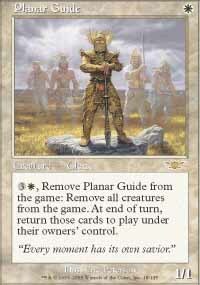 You have decided to go with the basic lands + standard green tutors. 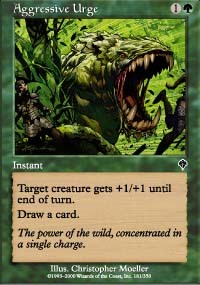 You also added in the land cycling creatures from Onslaught, because they double as land search and threats. You are adding in black cards now and you have a choice between Gravedigger and Zombify; which do you choose? At this point, they are about the same. Zombify lets you put the beater you cycled earlier right into play, but the ‘digger brings them back to be cast, which you can now that you cycled them for the mana to play it, or allow you to cycle them again. Hmm, decisions decisions decisions! It is at this point that you have to look to the future of your deck and decide if you want other reanimation targets for the purpose of Zombify, or other comes into play creatures and/or gating creatures to optimize the Gravedigger. If you go with cards like Whitemane Lion, Shivan Zombie and cards like that, the Gravedigger becomes stronger. If you go more towards the Zombify route you may want to put in such targets as Akromas, Angel of Pink (because Red and White = Pink, obv) , and focus a bit more on ‘draw and discard’ spells when you start adding Blue. Planning ahead will make your deck feel much more coherent. Enough jibba-jabba about the theories of prismatic deck building; lets see some deck lists! The following deck lists are works in progress. That's the fun thing about this format; you start to see certain synergies/anti-synergies as you play the deck more and more. Tweaking Prismatic decks is a non-stop adventure. By the time you get a deck fully tweaked, another set is coming out to bring more choices for the deck. How well do the starting guides do in practice? The SCG guide worked pretty well actually, despite being 3 years old. I played a number of games with the following deck: http://www.mtgotraders.com/deck/viewdeck.php?ID=610 that I have titled “Prismatic By Numbers” since it felt very much like a paint by numbers deck. The cost: $119. And that’s including some rather expensive substitutions that I made with cards like 3x (Swords to Plowshares) and 4x Call of the Herd that I just happened to have laying around. I would recommend the same practice when you build your own deck. If you have a better card than a budget one listed, swap them out! Part of the allure of Prismatic is being able to use your powerful toys all in the same deck. I must admit that I was surprised at how well the deck worked with the budget mana base. The deck was a turn slower at times than I would have liked, but it did not really have any major mana issues. Sure, this deck will not be tearing up any Prismatic PE’s (if they were firing), but it should have a decent chance in the Cas/Cas room of MTGO. In the first video, my deck just can’t stand up to Edict, Edict, panglacial, flashback Edict, Reclaim Edict, Edict. I was in dire need of some sort of removal or bounce at least to keep me in the game, which I had at least a 12% chance of drawing but just couldn’t get to it. Doing the bad practice of “what’s my next card?”. I saw that I was a turn away from my Dark Banishing which would have kept me in the game. Chalk this up to a need for a hand with some removal. But it’s hard to mulligan a decent aggro hand in the format… well, for me at least. In this one I’m up against a more budget deck than the previous video. This video shows how damaging missing a land drop can be. Although he did come back with Solemn Simulacrum and start to fight, my hand was amazing and I felt in control of the whole game from start to finish. I played this game horribly. No other explanation for it. The spells I chose to play and when I played them weren't well thought out. Despite MowbliCat being stuck on 2 mana (4 if you count AEther Vial at 2 I guess) I still get killed quite fast. The best game I've played with the deck so far. It lasted until turn 12, and Mowbli did 11 damage to himself with lands, making my job easier. While he did gain some life back this game with Loxodon Hierarch, but it was just too much life loss to hit his colors. Something I noticed in the amount of games I played is that it was somewhat hard to get a good back and forth match in the format. It generally felt that one of the decks was just ‘more powerful’ enough to make it nearly insurmountable for the other deck to keep up. Short of buddying those players who play similar level decks as you find them, I am not sure what can be done about this disparity. If you have any ideas, sound off in the comments! I've put them on YouTube, but it seems like they compressed the bejebus out of them. I'm looking for a better way to host them, I still have the raw AVI's if anyone has any thoughts? The difference between casual and tournament Prismatic decks is that in tournaments, Aggro is king. With the powerful mana fixing of the fetch lands, pain lands, and Ravnica duals, and the lack of tutors, Aggro decks are the clear strongest deck type in tournaments. However, much like other decks in the room, the majority of Prismatic decks in the Casual Decks room are not based on tournament decks, but are instead based more upon personal preferences and often, ‘good stuff’ decks. You know, where you squish all the ‘good stuff’ you have in your collection, flesh out the mana and add some support. Depending on how good the good stuff is, the deck may or may not be quite powerful. I’m going to wrap this stage up, as I’ve gone pretty long already. In the next installment look forward to new card reviews, what Xth will be bringing, different flavors of Prismatic (Singleton, Pauper, Pauper + Singleton) deck themes, possibly an interview or two and more! I think one way to sort of handle the power imbalance that results from sort of budget decks vs 1000+ tix manabases is to make the game asymmetric, e.g. find a different strategy for winning than the usual. I recently got back into prismatic (if I was ever into prismatic in the first place that is) when I brainstormed up a crazy deck idea and then soldiered on to see if it worked or not. If any of you guys reading this have watched my games in the casual play room, you may have noticed that my deck has a capacity to 'just win' out of nowhere, even vs some of the most expensive decks imagineable (I.E. playing vs deeds and vindicates and winning). If you haven't seen the deck in action, I'll just say it abuses Traumatize and Tunnel Vision, with TV being the poor backup actor. I might write an article on it just for kicks, so I don't want to get too much into how it works (but I'm sure most people could probably figure it out relatively quickly). And can I say that the font size in this commenteditor is atrociously small? Always a pleasure to read your stuff. I've recently Gotten into Prismatic as well. Its a great format and it can be done on a relative budget. You don't need a $300 manabase, maybe a $75-$100 one, but it can be done! Good work and i look forward to have more people to play! Thanks for the article. I currently play a reanimator deck and a singleton deck. The reanimator deck is Prismatic/Ext so I can play even when there are no pris player around. I like the look of your transmute deck and might have to try it out. thanks hammy for this great article!!! i guess i shall have to dust off my prismatic deck again. I was stunned at how much there really is to say on Prismatic. It seems that the large deck inspires large articles because there really is far more to say on the subject than just one article can do just to. 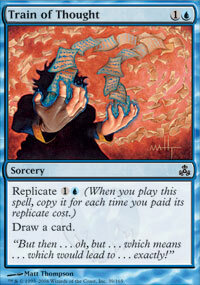 I heard that Prismatic bans the transmute cards, which could be finally tutoring in the hands of Pauper players. But likewise, if you like casual formats, it's good. I feel like that it has an advantage over regular Prismatic Singleton, as cutthroat decks can be built cheaply.